If you didn't notice the rhyme in the topic of this article, i suggest you take a second look at it, you will then realize that indeed there is money in honey. During my days as an undergraduate, i sold honey to add some extra cash to my pocket. The business was very profitable and is still profitable till date. Honey business is a very simple business which just any one can do and make some cash. It doesn't require special skills or training and the demand is always on the high side because of the numerous uses honey can be put into. Did you know that honey is the only food in the whole universe that can last a life time? Yes, honey never spoils. It has inbuilt natural preservatives that can keep it for a life time so you wouldn’t have to bother yourself about the problems associated with preservation. Its uses are so numerous hence the high demand. Let me try to mention a few uses of honey which most of you are already aware of. Honey can be put into several uses especially in the field of medicine. It is used as an alternative to sugar by diabetics and persons who would like to avoid sugar. It is also used in the cosmetic industry because it nourishes the skin. It can be applied on patients with fire burns because it helps the wound to heal fast. 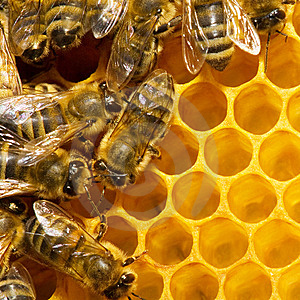 Honey can be used in the food and beverage industries for making food and snacks. It can be used as Jam for eating bread and can also be used as a food preservative. Professional singers take honey to soothe their throats before performances. Honey is also applied to the hair to make it glossy and well-conditioned. I can go on and on telling you the numerous uses of honey. I guess it’s the reason why the honey sellers never run out of business. If you really want to make money from honey business you must ensure you are buying from a genuine source because honey can be adulterated using several methods. The quality of the honey you sell becomes a very important factor in determining your patronage. Therefore you have to ensure that the honey you buy is of high quality and is from the right source. Personally, i don’t recommend buying honey from the open market. I recommend buying from bee keepers around you. You can conduct a research to find out where you can buy honey. you can even do a Google search to help you. According to the last market survey I did, 10 liters of honey costs between N7000 and N10,000 while 5liters cost between N4000 and N5000. These figures may vary depending on your source. Honey business is a business you can start with as little as N10,000 and still make a %100 profit. For instance, if you buy 5liters of honey for N5000, you can get about 6 and half 75Cl Eva water bottles, which you can sell for a minimum of N1500 each to make N9000. If you subtract your initial cost, you will be making a profit of N4000. you see what i mean? Because of the problem of honey adulteration with sugar and other similar substances, experts in honey business have put up some tests to check if a particular honey is genuine or not. Below are some of the tests. 1) Dip your finger into the honey, then try to drop one or two drops on the ground, if it is pure honey it will go down like a thread without breaking. 2) Pour some honey into a glass of water, if it is a pure honey, it will go down to the bottom of the cup without mixing up with the water except you stir it. 3) Dip a match stick into your honey and strike it, if it is a pure honey, the match stick will burn with the honey on it acting as a fuel. 4) A pure honey doesn't spread out immediately when dropped on sand, it rolls like a ball. These are some of the tests to check for pure honey. If you have more, don't hesitate to drop some comments below. You must also remember that packaging is a very important factor for effective product marketing. Therefore, you must ensure you use proper packaging materials and if possible attach a product label containing your business name and address to make it more authentic. This will not only increase your patronage, but will also make it look more genuine. You can choose to package your honey in bottles or preferably plastic containers. But make sure you paste your product label on it as advised earlier. Honey can be sold just anywhere. When i use to do the business during my undergraduate days, i usually market my honey in the hospitals because that is where i get high patronage. But if you don't really want to stress yourself, you can decide to be supplying honey to supermarkets and grocery stores around you. below are the list of places where you can effectively market your honey.